The Delfts Blond teapot is made of pottery. 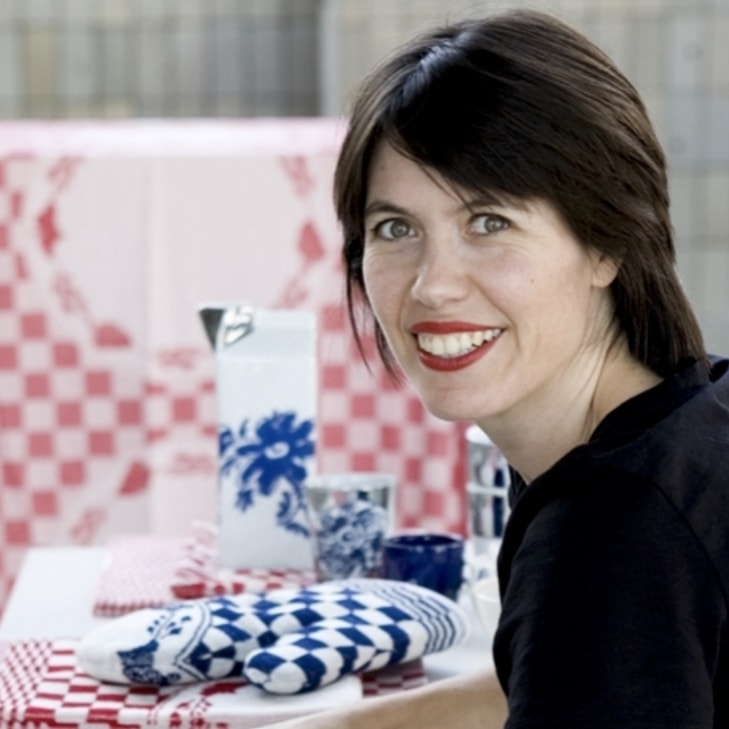 The teapot depicts two farmers in blue; a typical Dutch image As a fun detail, this Delfts Blond teapot has a Blond Amsterdam recognition label attached, in the shape of a clog in blue and white. The teapot is made of pottery. It depicts two farmers. The lid depicts a beautiful scenery. 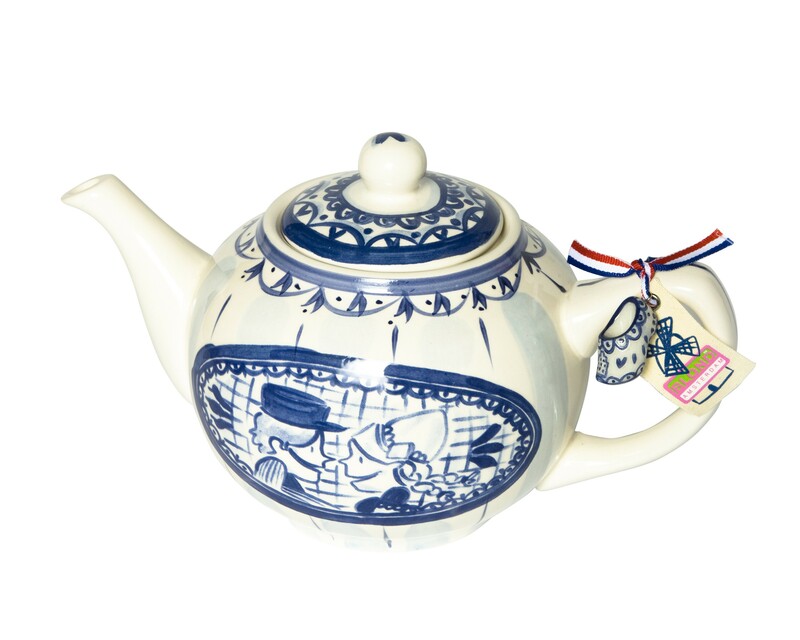 This Delft Blond teapot is 16 cm long, 27 cm high, and 17 cm wide. 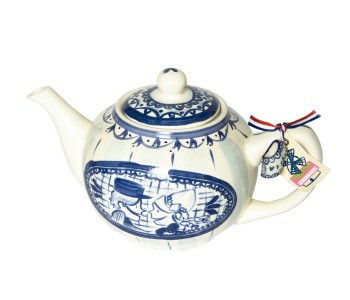 As a fun detail, this Delfts Blond teapot has a Blond Amsterdam recognition label attached, in the shape of a clog. The Delfts Blond teapot can be easily combined with the cup and saucer, the mini mug, the milk jug, and the sugar pot in the Blond Amsterdam series.